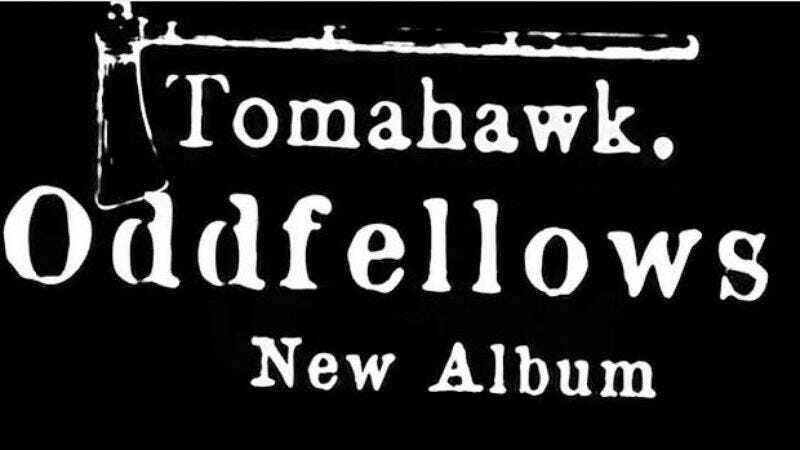 After six years of relative dormancy, alt-rock supergroup Tomahawk is back with a new record, Oddfellows, to be released next January on Ipecac Records. The band will also be playing its first live shows in nearly a decade with stops at the Voodoo Music And Arts Experience in New Orleans and Austin’s Fun Fun Fun Fest. Tomahawk is comprised of recently ex-Jesus Lizard member Duane Denison, Trevor Dunn (Fantomas, Melvins, Mr. Bungle), Mike Patton (Mondo Cane, Faith No More, Mr. Bungle), and John Stanier (Battles, Helmet). Oddfellows was recorded live, with all the members in one room over six days at Nashville's Easy Eye Sound Studio, owned by Dan Auerbach of The Black Keys. The record was co-produced by the band and Collin Dupuis, who’s previously worked with The Black Keys and The Nocturnals.